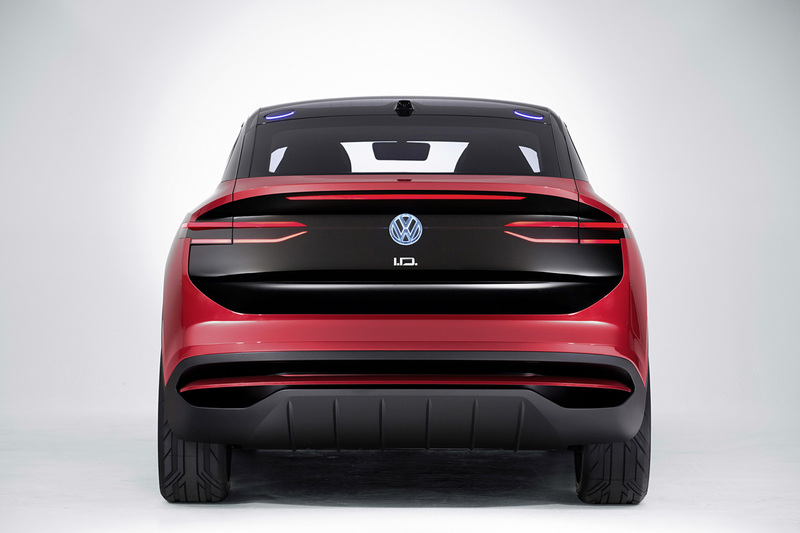 Volkswagen’s big news this year at the LA Auto Show is their I.D. 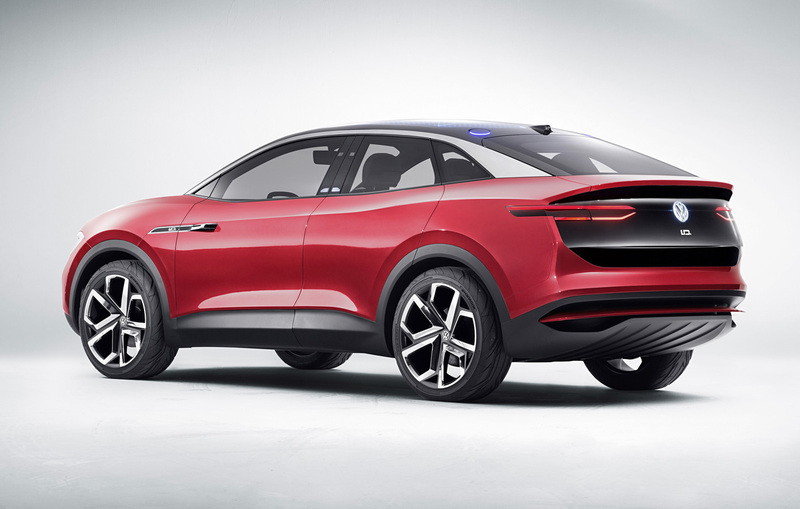 CROZZ concept vehicle, a striking electric compact SUV that they tell us will go into production on 2020, followed by the I.D. BUZZ. On the heels of the Volkswagen Microbus-like I.D. BUZZ Concept of last year, the more mainstream looking and conceieved I.D. 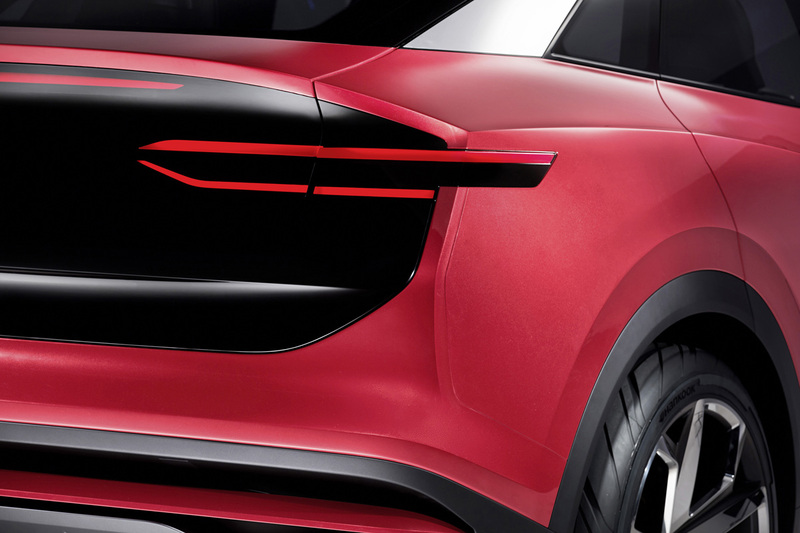 CROZZ concept makes its debut at this year’s LA Auto Show with the promise of a production version to follow in 2020. 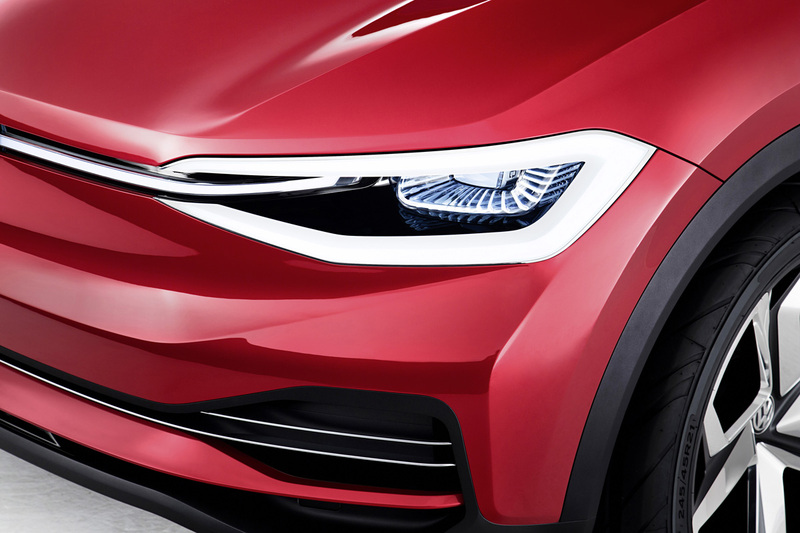 Handsome and decidedly more striking than some of the Volkswagen designs of late, the I.D. 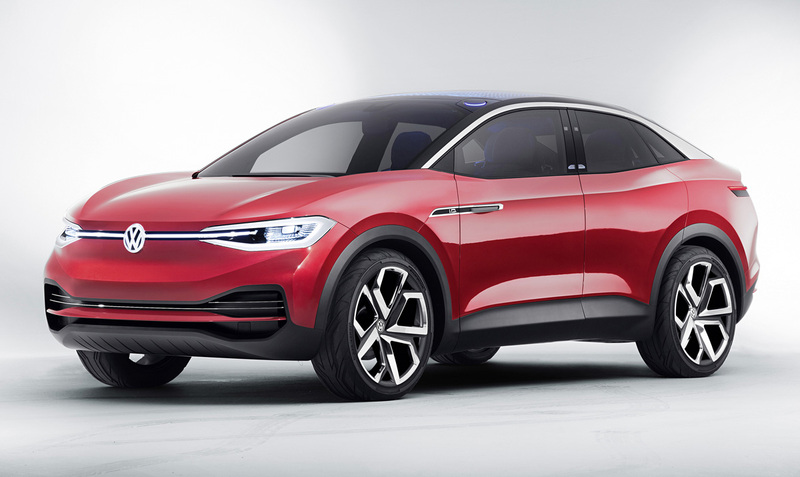 CROZZ concept shows the brands vision of an all-electric small crossover SUV that would compete in the lower priced class of EV’s. 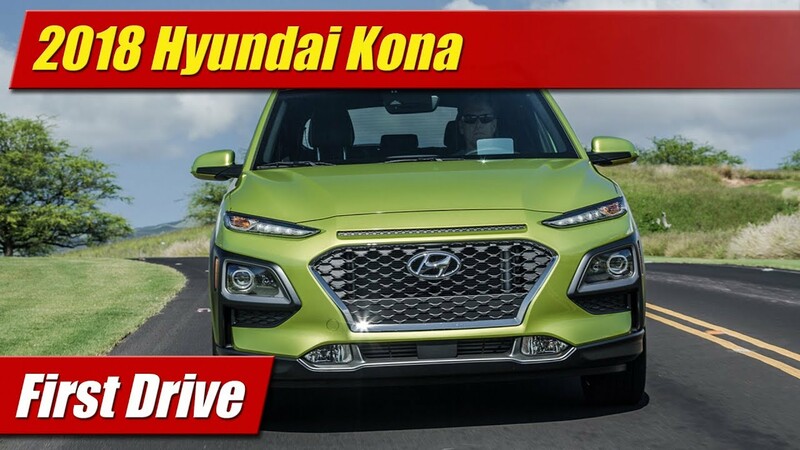 It looks much like many of the other mainstream and fashionable compact crossovers in the marketplace which is exactly the point. The I.D. CROZZ becomes the mainstream high volume seller that makes specialty designs like the I.D. BUZZ microbus possible by sharing a new common modular electric platform. 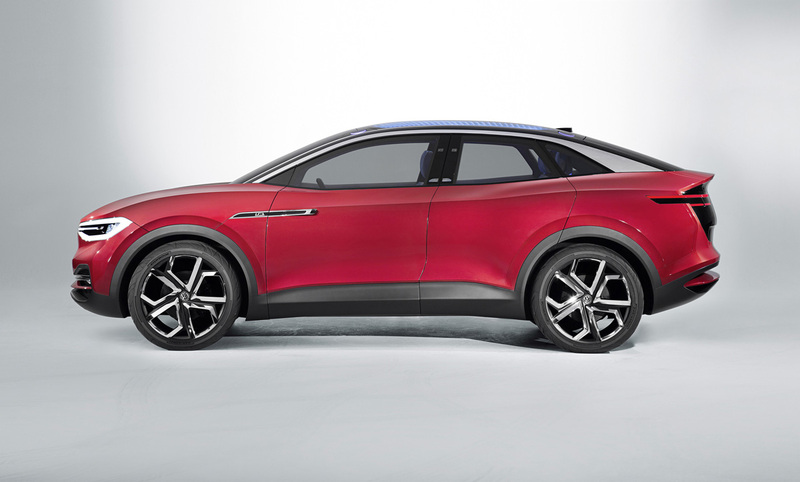 Similar in size to a Volkswagen Tiguan, the I.D. 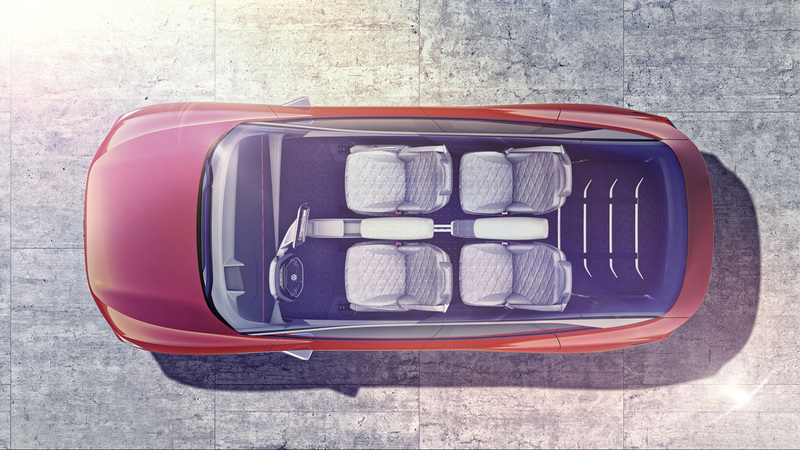 CROZZ would feature a flat 83 kWh lithium-ion battery under the floor that allows a spacious interior space with no compromises in packaging. That means room for plenty of cargo and passengers, and all the toys they want to have with them. Like the I.D. BUZZ microbus, the I.D. CROZZ is powered by a pair of electric motors, one at the front and at the rear axle. The front power unit has 101 horsepower, the rear 201 horsepower, for whopping total of 302. Remarkably with this kind of power, it is capable Volkswagen says of a 300 mile range. The two motors work such that it is a rear-wheel-drive vehicle as a default, a form that should make enthusiasts happy. The front motor is only engaged when traction or extra power is needed. It can also be switched on manually such as in an off-road mode. 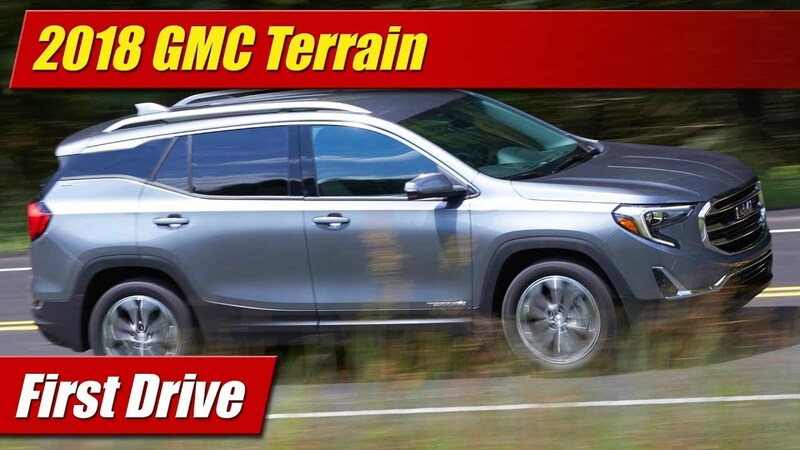 More interesting still is the fact that its design results in a 48/52 front-rear weight bias with a very low center of gravity. This means that the I.D. 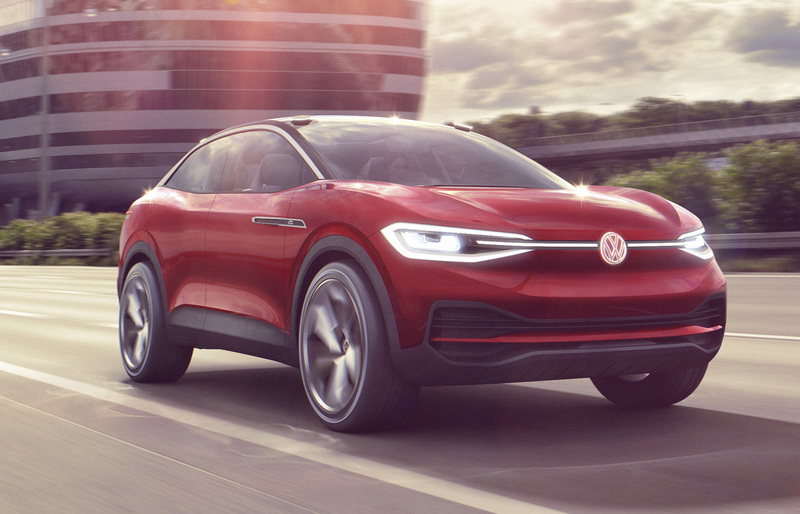 CROZZ and the many other vehicles Volkswagen plans to offer with this chassis has a promising driving character ahead of it. 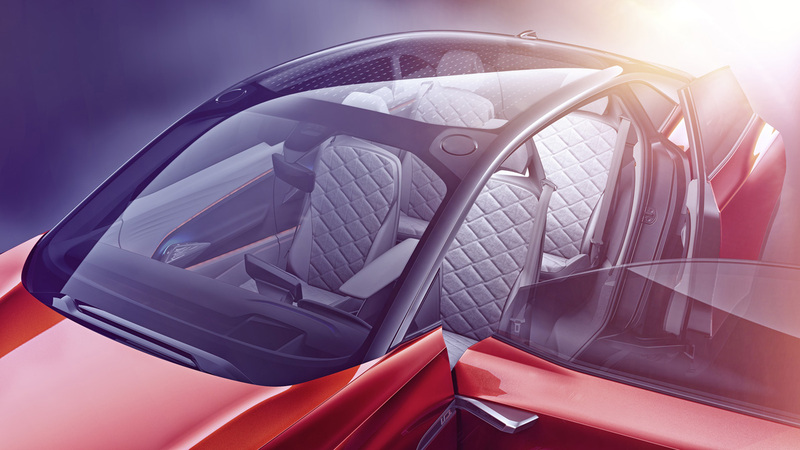 The concept itself features a lot of technical razzmatazz such as all concept cars do. You’ve got Las Vegas in charge of the lighting front and rear, inside and out. 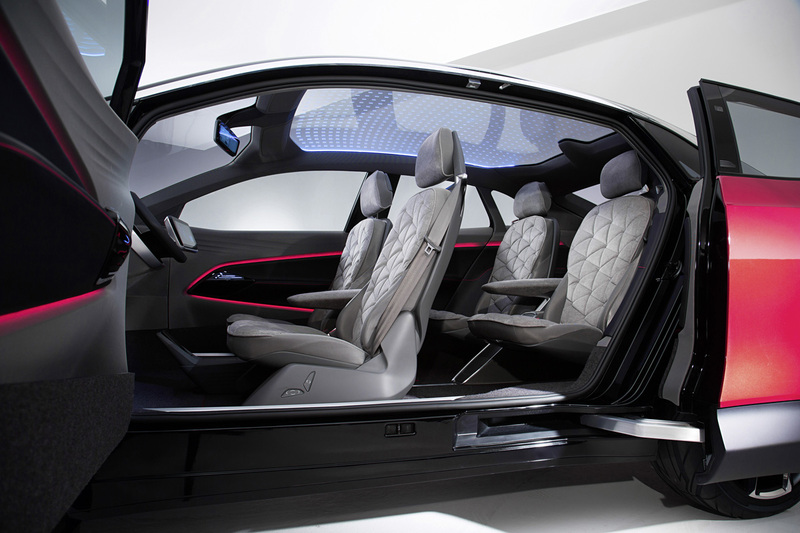 The interior is a virtual home theater and it can be because the I.D. CROZZ concept is also a self-driving adventure. This means you can sit back, post selfies, surf dating aps and cruise in style. Don’t worry about driving, that’s no longer cool nor is it satisfying. Just get behind the wheel, bring some buddies and have some real fun. It’s important to note that the I.D. CROZZ and I.D. 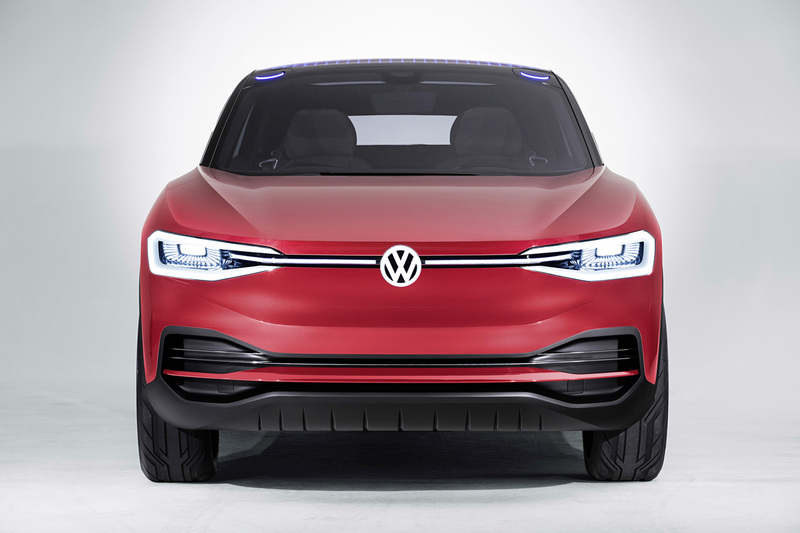 BUZZ which as I said are both on the way to production signal a sea change at Volkswagen as well as their family brands Audi and Porsche. 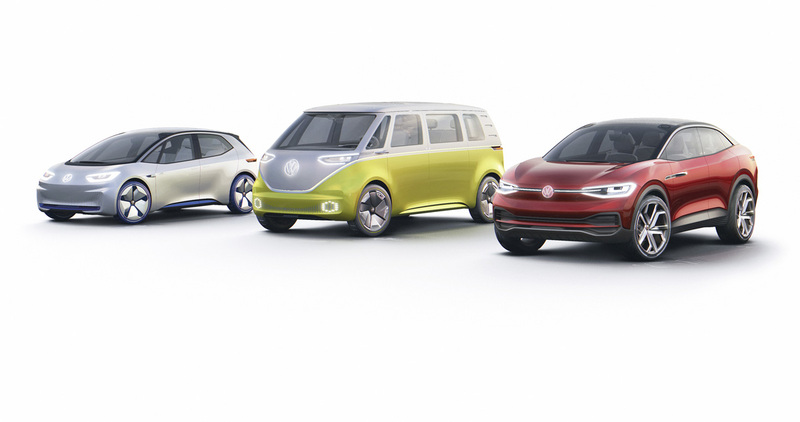 In the post TDI era, Volkswagen’s goal is to offer 15 different EV globally by 2025.